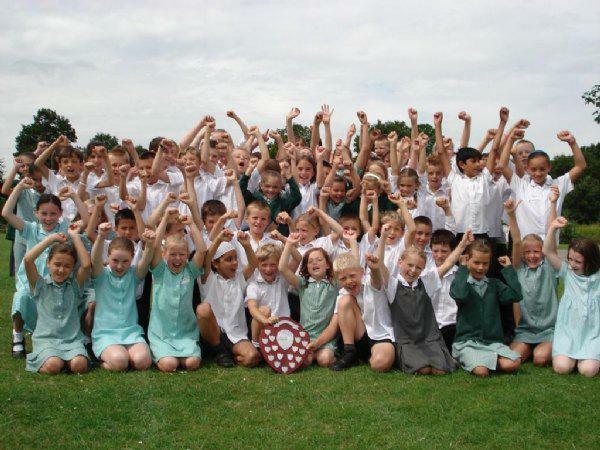 Meath Green Junior rounded off a great year by winning this years District Sports Day at Burstow. Our team all performed at their best and after a close run competition against strong opposition from Burstow, Yattendon, Manorfield and Salfords schools, won by three points. Thanks go to the hard work put in by teachers who trained and organised the team. Well done to the team for such a great effort and an exciting win.